What's happening in and around Wilsonville this week and what's coming up later this month? MURDOCK TALKS — Clackamas County Historical Society presents "In Defense of Wyam" by author Katrine Barber at 7 p.m., a chronicle of the distruction of Celio Falls on the Columbia River and the fight to save the Native American village nearby. Seating begins at 6:45 p.m.; Museum of the Oregon Territory, 211 Tumwater Drive, Oregon City. THUNDER PUPPIES — See Eric Herman and the Thunder Puppies in a family concert filled with comedy and audience participation. Wilsonville Library Oak Room, 8200 S.W. 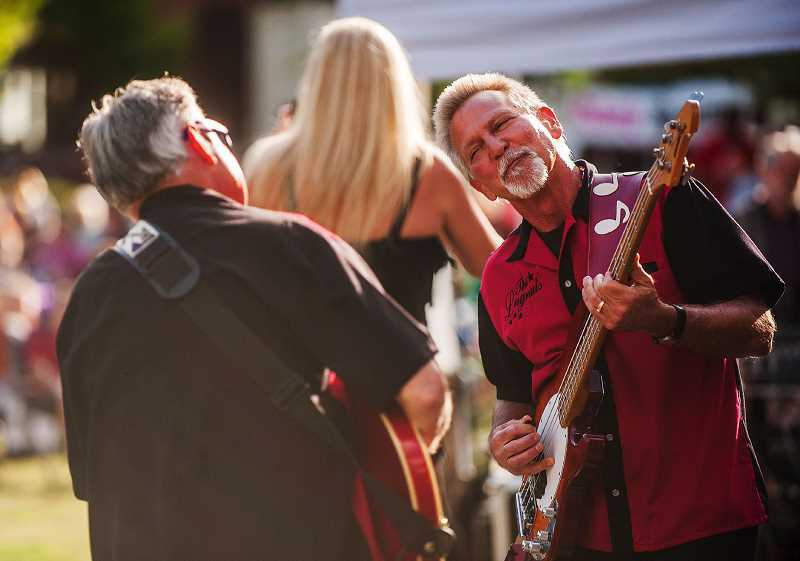 Wilsonville Drive, 11 a.m. and 12:30 p.m.
SUMMER CONCERT — Come hear Johnny Limbo and the Lugnuts at the Wilsonville Rotary Summer Concert at Town Center Park, 29600 S.W. Park Place. The concert is free with opener at 5:30 p.m. and headliner at 6:30 p.m.
COMMUNITY PLANNING — For those in unincorporated Clackamas County, the Aurora, Butteville, Barlow community planning organization (CPO) will be holding a meeting regarding current land use issues in our area. If you would like to attend, it will be held Thursday, July 19, at 6:30 p.m. at the McMenamins in Wilsonville. Check in at the door and they can direct you to the Boone Room. For more information call Bernice Ivey 503-678-3383. REPTILE MAN — Bring your friends to meet some amazing reptiles; Grove Shelter at Murase Park across from the library for a 11 a.m. show. WILSONVILLE LIBRARY — Wilsonville Library remodeling is done; attend the grand reopening from 6:30-8:30 p.m. See what's new and enjoy some refreshments; 8200 S.W. Wilsonville Road. LIBRARY BOARD — Wilsonville Library Board meeting, open to the public. Agendas are available online at ci.wilsonville.or.us; meeting begins at 6:30 p.m. at 8200 S.W. Wilsonville Road. PATHFINDER — The City of Wilsonville invites community members of all ages to become a Wilsonville Pathfinder by creating a passport, solving clues, exploring City parks, attending events and winning prizes. Each page of the passport takes you on a new and different adventure, including fun events/activities that you may not know about and places you may have never been. Stop by City Hall, Library, Parks and Rec Admin Building, or the Community Center to pick up a Pathfinders Passport and start exploring.